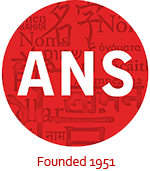 The American Name Society was founded in 1951 to promote onomastics, the study of names and naming practices, both in the United States and abroad. It is a non-profit organization that seeks to find out what really is in a name, and to investigate cultural insights, settlement history, and linguistic characteristics revealed in names. Read more about the history of the ANS, and view the complete list of ANS Presidents. 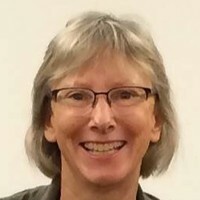 Focusing on the understanding of names in all forms, the Society provides members with several vehicles for the discussion and publication of onomastic theory, views and concepts. The Emerging Scholar award recognizes the outstanding scholarship of a names researcher in the early stages of his/her academic or professional career. To be eligible for this award, applicants must meet the following criteria: (1) be an entry-level professional, an untenured academic, or a student; (2) have had his/her single-authored abstract accepted for presentation at the ANS annual conference; and (3) be a member of the ANS. When submitting a paper, please refer to the ESA Style Guidelines. The awardee receives a cash prize and mentoring by a senior onomastics scholar who will assist the awardee in preparing his/her paper for submission and possible publication in NAMES: A Journal of Onomastics. Contact ANS at info[@]AmericanNameSociety.org for additional information. The American Name Society is allied with the Linguistic Society of America (LSA) and the Modern Language Association (MLA). Read the ANS Bylaws here. Read the ANS Copyright Notification here.